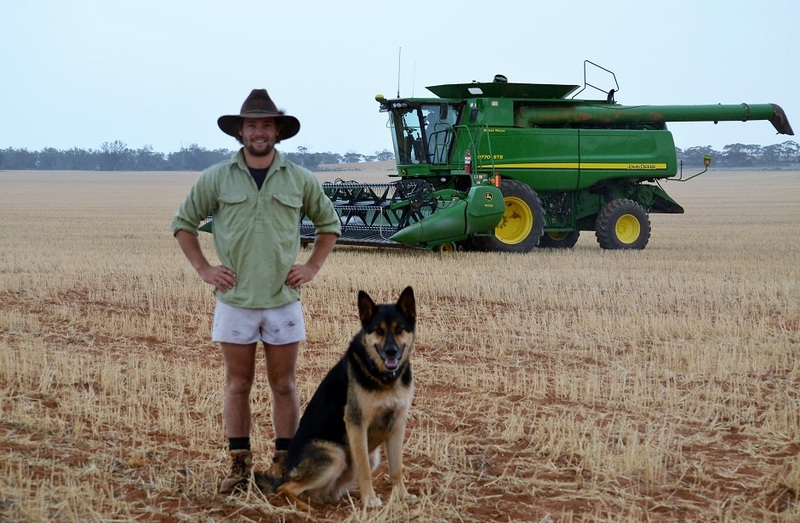 Ben is a 4th generation grain grower from Werrimull, Victoria. Ben works closely with his family on their 6000-acre property, where they produce wheat and peas. The Rankin family has recently started to agist livestock over the summer months as well, which keeps the weeds down so they don’t have to summer spray as much. Ben and his siblings grew up on the farm and were always involved at harvest and sowing time, but his parents encouraged him to learn a trade outside of the farm environment. He decided to become a qualified electrician, but after completing his apprenticeship he decided it was time to go back to the family farm and get more involved on a full time basis. What is Ben continually striving towards? “We really put our focus and attention on soil health. Our property is mostly sandy red loam soil with an average of 100ml of rainfall last year (which is very dry). This means that we are always striving towards making our land ‘drought proof’ instead of just getting by each year with minimal yield. We have done this by experimenting with our soil types using organic fertilisers. What does Ben love most about his lifestyle in grain? “I love the flexibility. We have the flexibility to trial new systems and practices and really drive innovation.